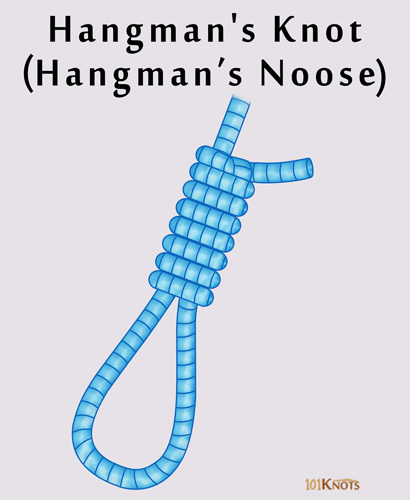 The hangman’s knot or hangman’s noose gains its name from its original use for the execution of prisoners. It is a type of noose knot that is thought to be invented in the UK from where it spread to the other parts of the world. Today, apart from its basic purpose, it is also used in fishing and boating. People like to make it for Halloween decorations as well. The loop formed by the strong knot is adjustable. 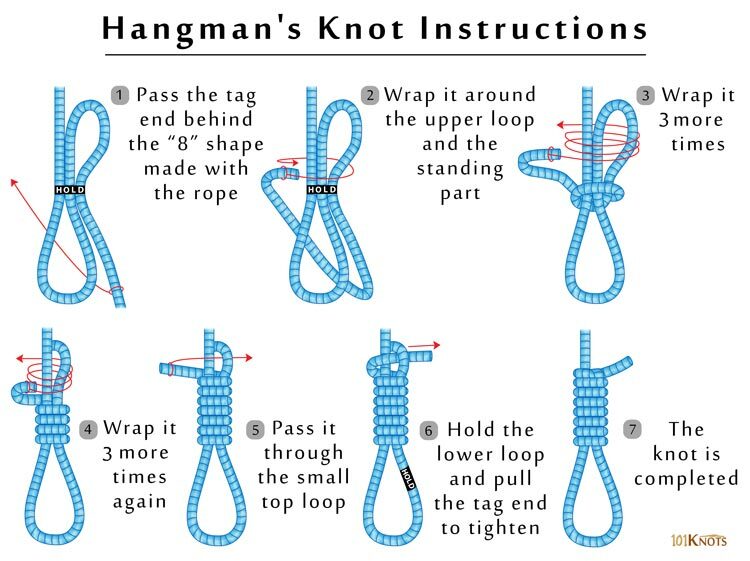 Disclaimer: Since this noose knot has other uses apart from hanging, as mentioned above, we have given its tutorial here. It should not be tried on any living being whatsoever. Children should be dissuaded from playing with it as besides being lethal itself it can tighten accidentally even when tied loosely. To attach a hook, swivel or lure to your fishing line. For making paracord knife lanyards and bracelets.